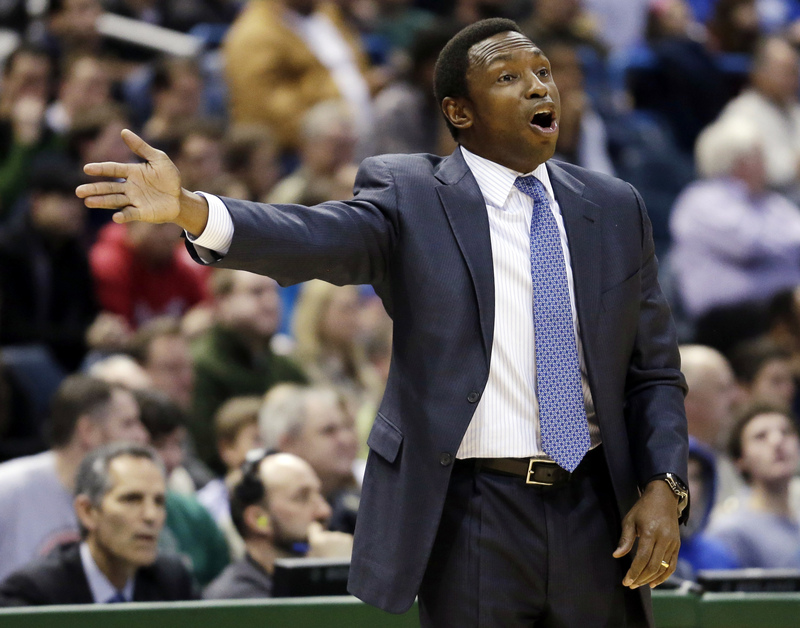 NEW YORK Avery Johnson was fired Thursday as coach of the Brooklyn Nets, who have fallen to .500 in their season of new surroundings and elevated expectations. General manager Billy King announced the dismissal in a statement. Assistant P.J. Carlesimo will coach the Nets at home Friday against Charlotte, according to someone with knowledge of the plans. The person spoke on condition of anonymity because details were to be provided at a news conference later in the day. After a strong start to their first season in Brooklyn, the Nets have lost 10 of 13 games to fall well behind the first-place New York Knicks, the team they so badly want to compete with in their new home. But after beating the Knicks in their first meeting Nov. 26, probably the high point of Johnson's tenure, the Nets went 5-10 and frustrations have been mounting. According to Ken Berger of CBSSports.com, the firing has come as a shock to some within the organization. "While not unforeseen given the Nets' struggles, firing Johnson caught some in the organization off guard. Clearly a Prokhorov decision," Berger tweeted. "It was believed that Johnson would be given more time to turn things around after nine losses in 12 games against mostly winning teams. Brooklyn started the season 11-4, winning five in a row to end November, when Johnson was Eastern Conference coach of the monthEastern Conference coach of the month. But he couldn't do anything to stop this slump, one the Nets never anticipated after a $350 million summer spending spree they believed would take them toward the top of their conference. Johnson has been the Nets' coach for a little more than two seasons. He went 60-116 with the Nets, who moved from New Jersey to Brooklyn to start the 2012-13 season. Johnson coached the Dallas Mavericks to a spot in the NBA Finals in 2006. Some predicted the Nets would finish as high as second in the East behind defending champion Miami, and the projections seemed warranted when the Nets started quickly amid much fanfare. But all the good publicity faded in recent weeks once the losing started.